MYC was officially registered as a not for profit company in 1994 under the Swaziland Companies Act No. 7 of 1912, registration number No. 485 of 1994. Manzini Youth Care’s Board of Directors meet at least two times a year, policies are formed according to the Constitution and the organisation is annually audited by an external accredited auditing firm. 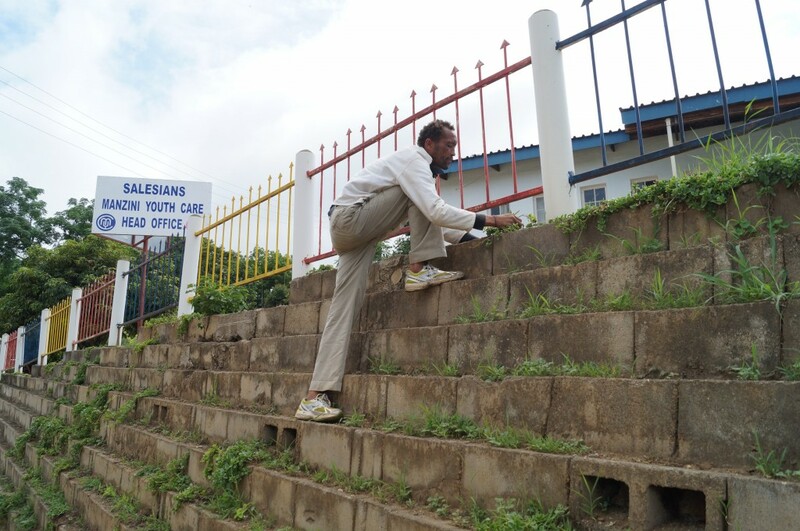 The MYC Program is operated by the Salesians of Don Bosco, Manzini. 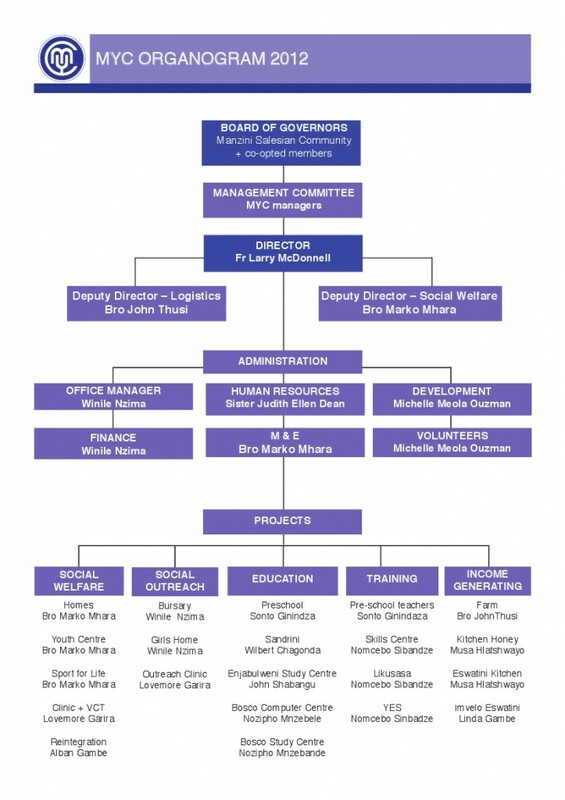 The organisation is led by the MYC Board and the MYC Director. The MYC staff includes the core staff: assistant director, development manager, financial manager and assistants, monitoring & evaluation, receptionist, and maintenance, as well as staff for each of the following projects: MYC Residential Homes/McCorkindale Orphanage, Bosco Study and Bosco Business & Community Centres, Bosco Skills Center, Likusasa Life Skills Center, Y.E.S. Sheltered Workshop Program, Sandrini Learning Centre, Bridging School, Enjabulweni Primary School, NMCF Sports for Good Project, SOLON Foundation Bursary Project, USAID food distribution, MYC Dept. 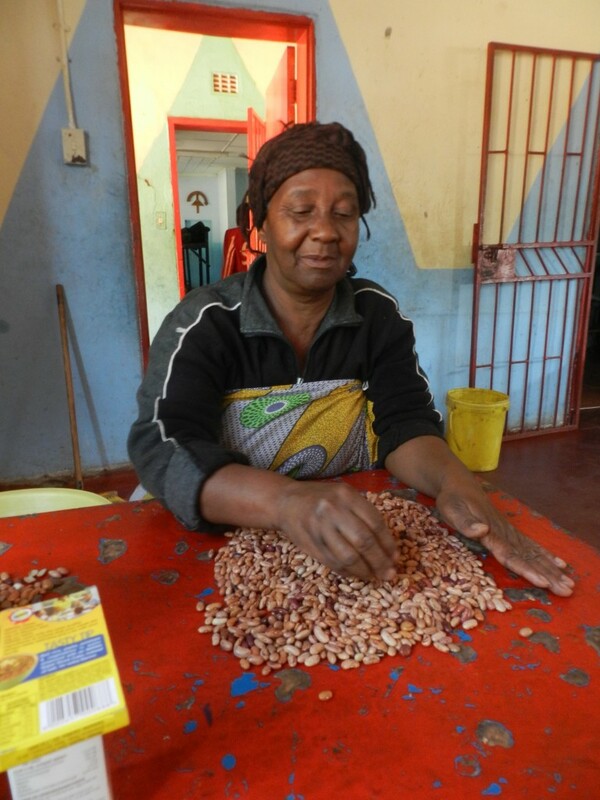 of Social Welfare, and the three income generating projects: Eswatini Kitchen, Eswatini Honey, and Imvelo Eswatini Jewellery. There are many people who are responsible for the success of Manzini Youth Care. In the residential homes the house fathers and house mothers share the daily life with the children and are responsible for their daily welfare. They help the boys with their chores, and school exercises, as well as providing important traditional Swazi guidance. MYC’s Social Workers stay in contact with the boys and realise the ideas of social welfare. They are many other people working for MYC and doing a great job, for example teachers at the Bridging School and the Skills Centres, caretakers and all the people who are working in the Income Generation Projects. We have been lucky to have had some fantastic Volunteers over the years, all of whom left their own mark. Volunteers are vital to the work that we do, and so many projects owe their success to their hard work and dedication. Each year, volunteers from all over the world arrive at Manzini Youth Care. Volunteers come for 2 weeks to a whole year. During the past year, volunteers came from Austria, Germany, the United States, England, Ireland, Norway, Finland and the Czech Republic. Education; teaching in our pre-school, Sandrini Centre, Bridging School, and Enjabulweni Primary School, and helping with tutoring the residential boys two evenings per week. Social Welfare; assisting the Social Welfare Department team wherever possible, from ofﬁce support to ﬁeld support; performing interviews, reviewing the children’s cases, assisting with home visits and bringing the boys to counselling when required. Healthcare; assisting the MYC Clinic. Some volunteers lent their hands in repairing furniture, house painting and decorating, indoor painting, planting ﬂower and vegetable gardens. A few taught handicrafts and musical instruments. But best of all, the volunteers were there for the youth, enlivening them with caring and love…eager to assist and be a big brother and sister to their Swazi brothers and sisters. The children and youth will always remember the kindness and willingness to help them as they face the challenges before them. There are many areas of interest to get involved into the project. Volunteers stay in close contact with the boys, doing freetime activities with them, working in the social welfare office or in other parts of the project. There are a lot of possibilties to bring in their personal skills to contribute that MYC remains as a well doing project. If you are interested in volunteering with MYC please contact us.